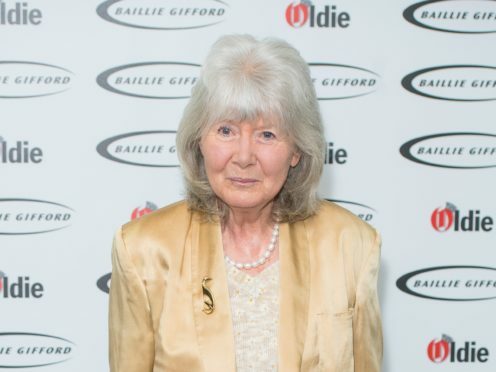 Bestselling author Jilly Cooper says that men are being “diminished” and that women are attracted to a “dominant male”. The writer, 81, dubbed “the queen of the bonkbuster,” is known for racy reads such as Riders, Rivals and Polo. She said that “everybody is too PC” now and that the Fifty Shades Of Grey series of books were a hit because they feature a “tough man”. Cooper told the Press Association: “I think because men are being so diminished now, everywhere – Me Too, Me Too, Me Too. I think (protagonist) Christian Grey is whacking away and he’s a dominant male. Cooper, who was a guest at the Oldie Of The Year awards, also revealed that progress on her new novel, set in the world of football, was not as quick as she would like. “I’m working on a novel about football. It’s going very, very, very, very, very slowly,” she said. She added: “It’s a very complicated game. It’s terribly complicated. I am working on it. I know about all these things that they do, corners and things. Cooper said that her own books “have very dominant characters”, and added: “There is a very good line in one of the books I wrote, the Pony Club, they are all suing (a man) because he didn’t make a pass at them.